Wharfedale Technologies offers a dedicated team of experts to help customers quickly diagnose and resolve critical issues involving SAP solutions on Microsoft Azure. 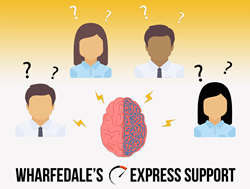 Utilizing Wharfedale's Express Support Service gives customers the luxury of having their issues diagnosed and resolved quickly. Wharfedale Technologies Inc. (WFT Cloud) opens its Express Support Service globally to help businesses running SAP on Azure. This service addresses issues affecting production downtime and overall performance. Wharfedale's Express Support Service can quickly address a "spark" before it becomes a "fire."